The heavy rain and sudden cold snaps experienced around the UK last month look set to continue into November. To help with damp problems this winter, our selection of special offers for November features discounts on our Roof Sealing Damp Proof Paint and popular Heat Recovery Fans. Rain leaking through roofs quickly causes damage to the structure. As a roof is the very first line of defence against the elements, making sure that no water ingress is possible is essential. Twistfix Roof Sealing Damp Proof Paint is formulated with a powerful and effective sealant that, from the moment of application, repairs all leaks in almost any roofing material. 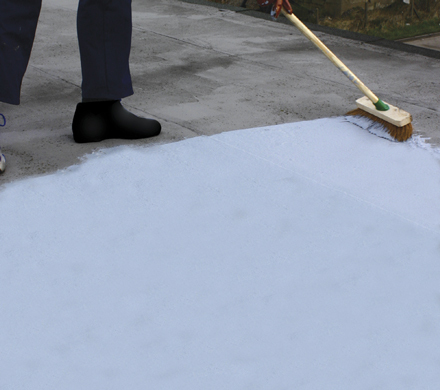 The coating is elastomeric, meaning it can stretch and flex with the roof’s natural thermal movements; added fibres greatly enhance the sealer’s flexural strength, strongly repairing cracked roofing materials. The formula is so effective that a waterproof coating is instantly created, even if the product is used while it is raining. Strong and durable, the solar-reflective paint usually requires no primer and covers in a single coat whether used on flat roofs, slates, concrete, metal, felt, asbestos, lead or asphalt. 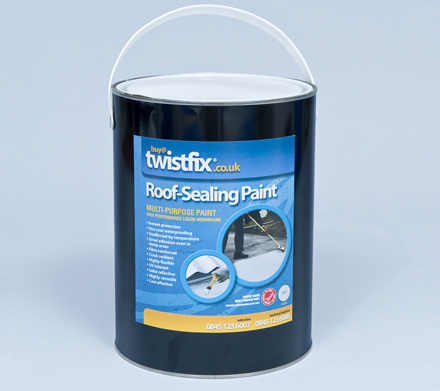 Supplied in a 5kg tin, Twistfix Acrylic Roof Sealing Paint is just one of our effective damp proof paint systems and is currently available with a fantastic £7 saving on each item. Twistfix Heat Recovery Fans are used to control the levels of humidity within a building, thus reducing the risk of condensation. As warm air holds more water vapour and houses generally tend to be more heated during cold weather, condensation is much more likely during the cooler months and the time is known in the trade as ‘condensation season’. Damage caused by this sudden excess of moisture can be severe and so it is important to reduce the likelihood of condensation in every way possible. Heat Recovery Ventilators differ from a conventional extractor in that they contain a pair of fans; one of these fans draws vapour-laden air out of the house while the other brings in fresh air from the outside. During this exchange of air, an efficient heat-exchange unit transfers around 85% of the exhausted heat energy into the incoming air, maintaining a steady temperature while keeping humidity at a minimum. 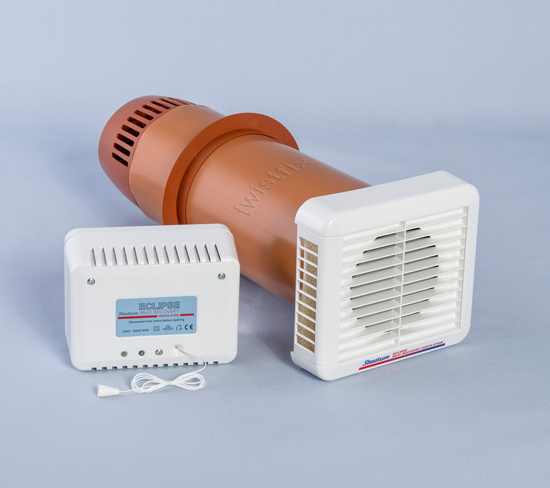 Continuously running at a low speed, consistent ventilation is provided though if excessive levels of humidity are sensed by the integral humidistat, the unit will automatically change to ‘boost’ level, quickly rectifying the problem. Now available with a £30 price discount, these heat recovery fans are even more cost-effective than usual. Make sure your property can withstand the bad weather this winter with our fantastic selection of damp proof paint, damp proof membrane and humidity control products. 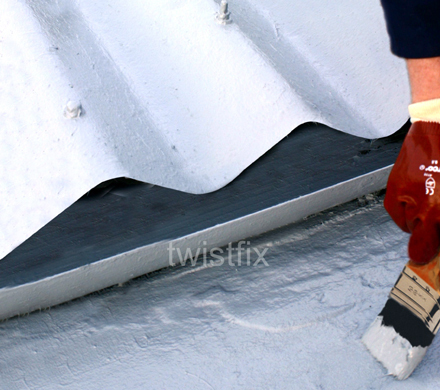 For more information, call us on 0845 123 6006 or email us at sales@twistfix.co.uk.